Army is a significant defense force for the nation apart from the Air Force, Navy, Coast Guard, border security force, etc. The defense personnel’s are treated with respect and honor in the nation. Within their training camps and workstations, most of the official communication happens through forms. These Sample Forms come in unique formats. The Army Counseling Form comes with four parts that deal with administrative data, background information, a summary of counseling and assessment of the plan of action. The space for office should be filled by the candidates. The Army Application Form is an important form that invites candidates towards joining the Army in a successful manner. 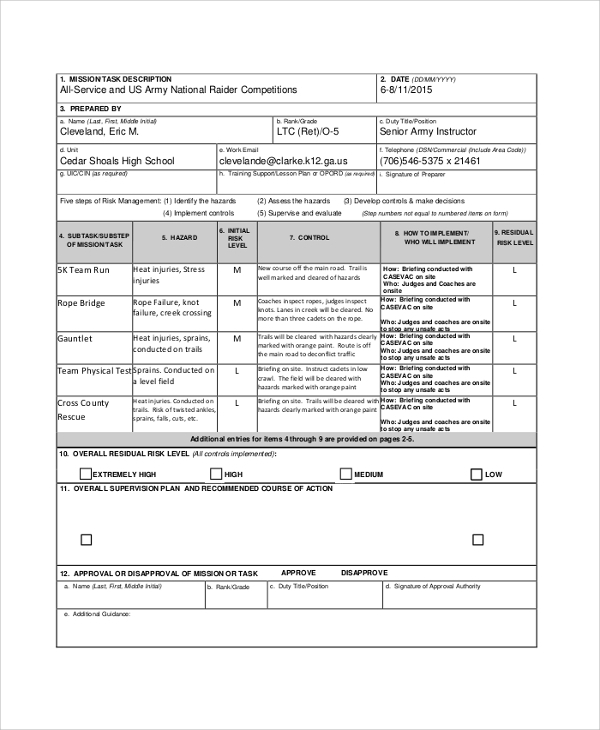 The format and template of these types of army forms are user-friendly to fill all the details and information. The Army Leave Form enable the army personnel’s to officially communicate their request for availing leave under medical, personal and other applicable grounds. The template and format of these kinds of army forms give space to communicate in detail. The Army Risk Assessment Form is an important army form that is officially circulated within the defense circuit. These types of army forms maintain secrecy and privacy in the matter of communicated details and information. 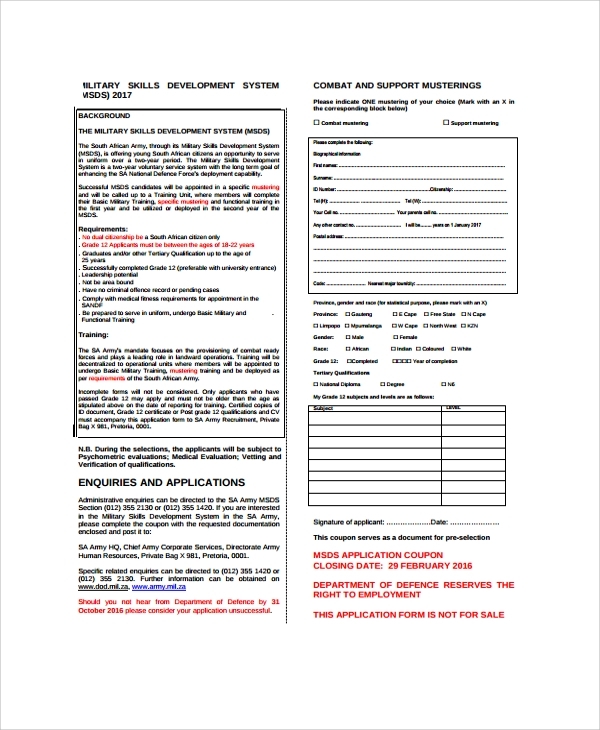 The Army Support form comes with apt spacing, format, and templates for filling up of the details and information in the right manner. 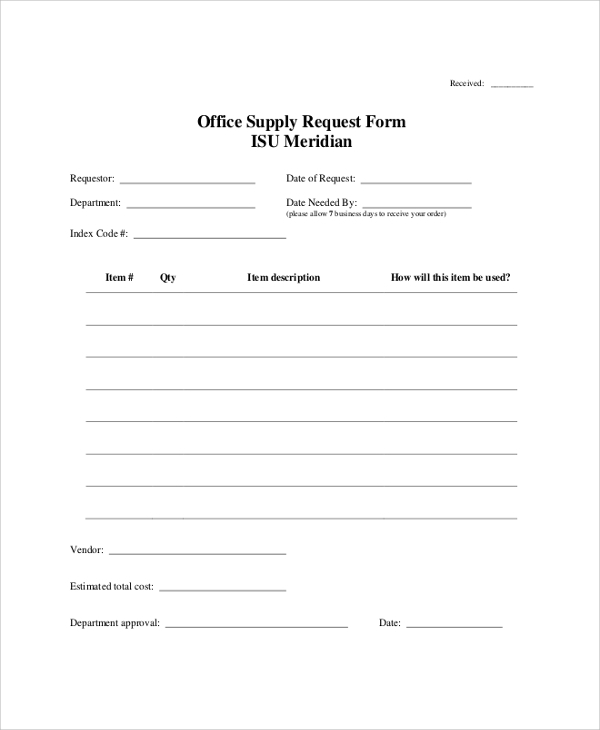 These army forms are an instant hit among the army personnel who uses it frequently. 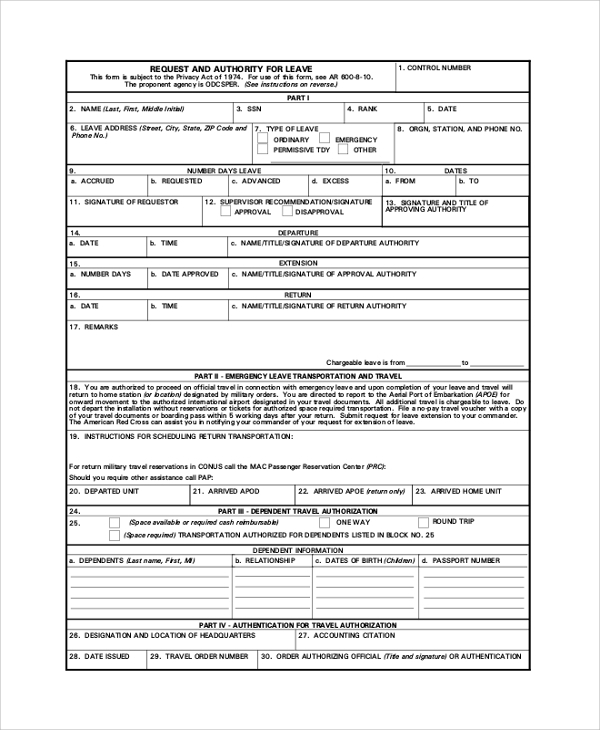 How To Use The Army Forms? Army forms come with space to fill in details and information that pass on the messages to the concerned authorities in the chain of official communication channels. These army forms should be picked from the relevant departments and submitted only to the concerned officials. All the necessary details and information should be filled in so that the purpose of the form gets fulfilled and approved. In the case of any doubts and clarification regarding the format, templates, and spacing, applicants are requested to discuss them with a concerned official in this particular regard. 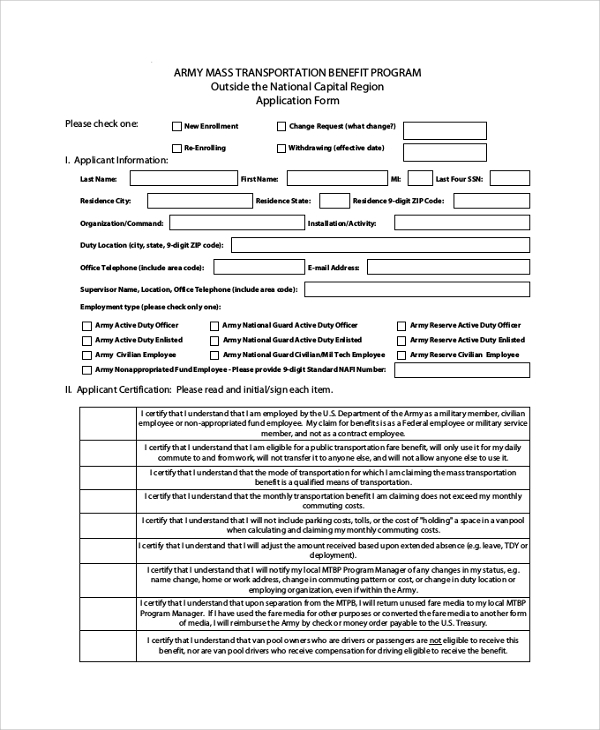 What Are The Benefits Of Army Forms? It is to be remembered that the army forms are the official means of communication that is accepted in the Army. 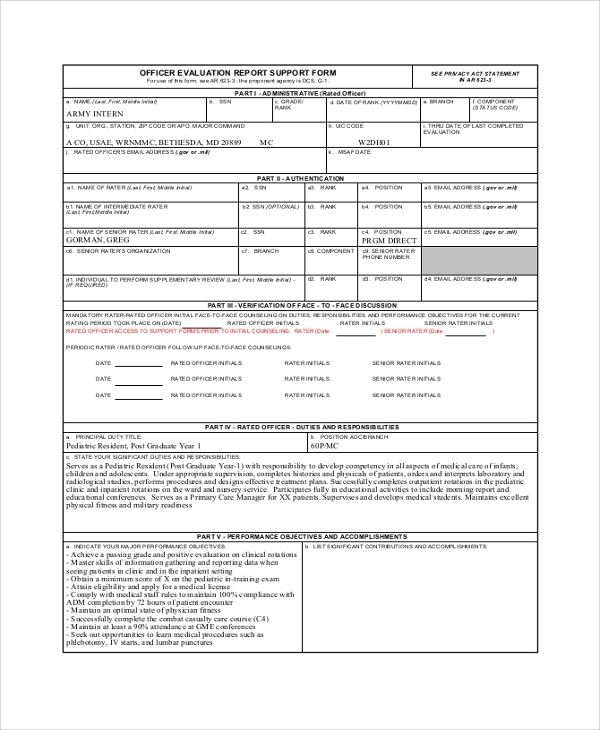 These army forms are used for different purposes such as counseling forms, Application Form, leave form, risk assessment form, support form and much more. Each and every army form has a definite purpose and that can’t be utilized for any other purpose. These army forms come with an apt request for appropriate details and information that is the need of the hour for a particular purpose. Most of the army forms come in Word or PDF formats. 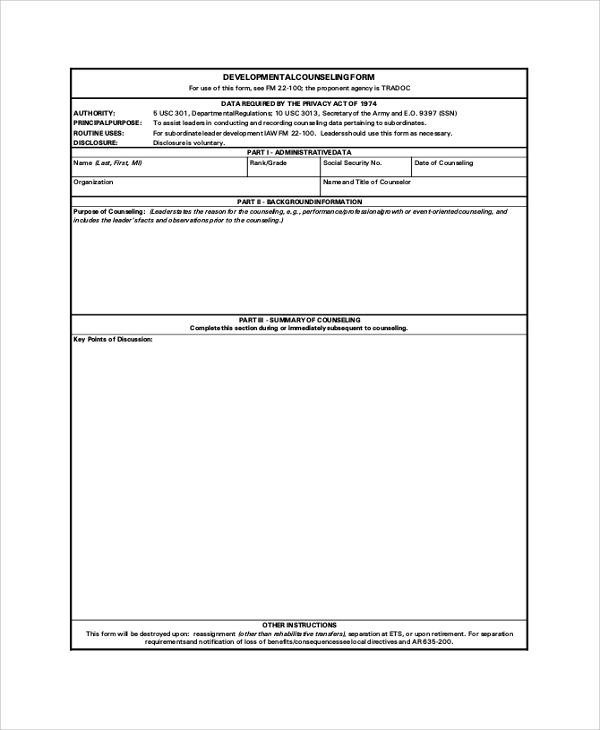 These Army Memo Samples run on one page or many pages according to the purpose of the form. Certain army forms may require only some details and information. On the other hand, most of the army forms and its actual use may need a right amount of details and information.